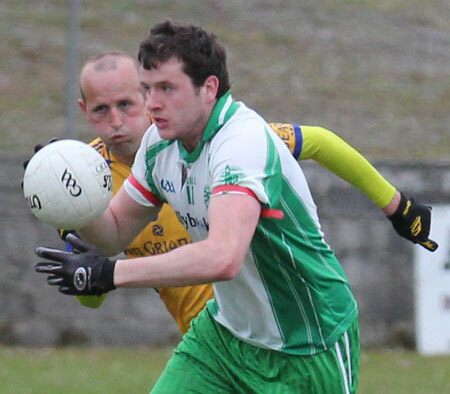 A double hat trick from David Dolan helped Aodh Ruadh to a seven point win that seemed highly unlikely after the homesters found themselves five points down with just five minutes of the game played. 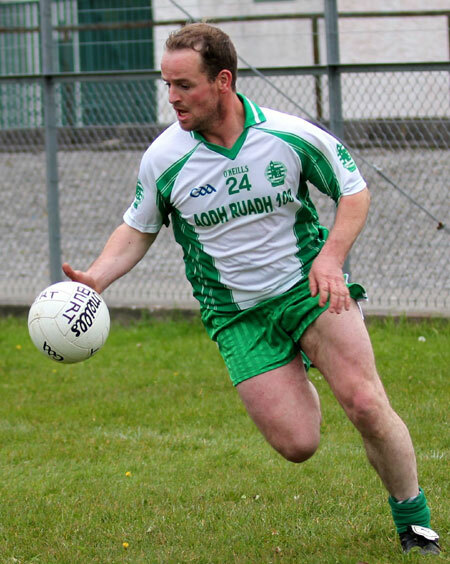 Burt might have had a long trip down to Ballyshannon, but they got off to a lightning start when Enda McDermott had the ball in the net within 30 seconds after effortlessly cutting open the Aodh Ruadh defence. A Joe Boyle free was followed by a fine effort off the left boot of Paddy McDermott to put the Inishowen men into an unanswered five point lead with five minutes gone. 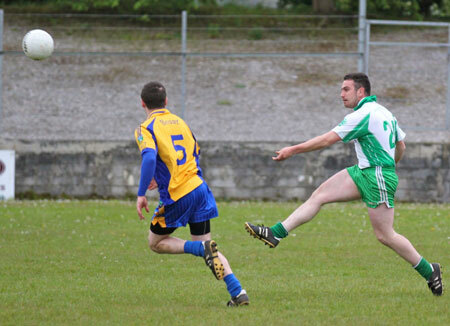 It took Aodh Ruadh eight minutes to get off the mark, that coming from a nice left foot free from David Dolan. Three minutes later Michael 'Sticky' Ward won an awkward ball into the area, and fed it out to Dolan who dinked over. The preponderance of possession was with Burt though and their sustained pressure got its reward when Enda McDermott was unceremoniously hauled down in the area and White signaled for a penalty. McDermott stood up to take the penalty himself, but he scuffed his effort wide. 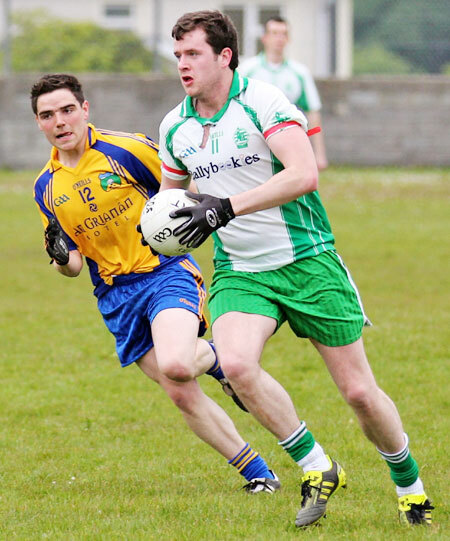 As the game moved into the second quarter Aodh Ruadh were able to capitalise on that reprieve with a free from Anthony Boyle reducing the deficit to two points. Following on from that Donagh McIntyre skied a pass into the Burt area which saw Sticky Ward fouled as he took delivery and again White had no option, but to give the spot kick. It's lazy clich� to say a penalty was poorly struck when it was saved, however there was nothing wrong with Sticky Ward 's blistering drive to the left of the goals. Kevin McDermott got down sharply and made an outstanding save to deny Ward. Undeterred, the Ernesiders cut the margin to the minimum with a brilliant free from Anthony Boyle from a couple of metres inside the 45 metre line. 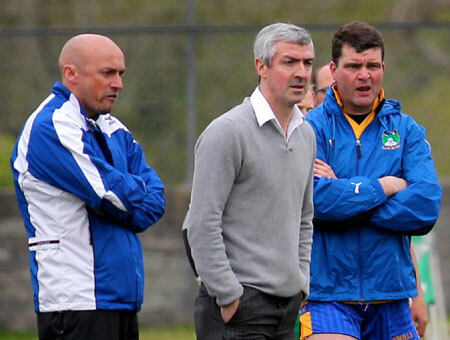 Burt were still playing the better football at this point and with Enda McDermott on the edge of the square they had a potent outlet. He was on target once again on 24 minutes. His initially shot was saved by Paul Kane, but he was first to react to the rebound and palmed it to the net to make it 2-2 to 0-4. Paul McHugh restored Burt's five point lead with score of the match, screwing over a great point off the outside of the right boot. Ballyshannon's Anthony Boyle hit another fine free just before the game went into first half added time and, given Burt's dominance in that period, going in only four points down wasn't a bad result for the homesters. Aside from Enda McDermott, Joe Boyle was Burt's most dangerous attacker and he stretched out their lead to five points with a free three minutes into the second half. Strangely, McDermott played in a more withdrawn role in the second half and Burt were significantly less threatening as a consequence. Where McDermott's influence was stemmed, David Dolan's was set to be unleashed. Dolan had a quiet first half by his standards, but he made up for it with barnstorming five minute explosion in the second. 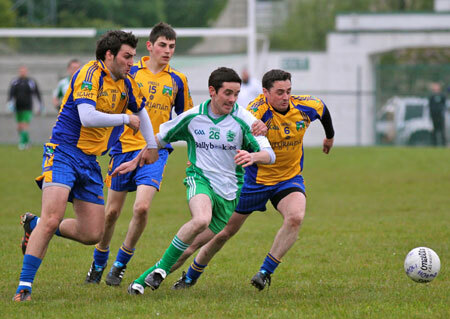 It began when half time substitute Ronan McGurrin fed in a dangerous ball which Dolan pounced on and buried emphatically past Kevin McDermott. Joe Boyle responded with a free to put a goal between the teams, but that was quickly snuffed out. It was a catastrophe for Burt. They were taking a short free on their own 45 metre line, but Sticky Ward had read the free-takers intention and stole in like a cutpurse to rob it and set off towards goal, Dolan came bursting off his shoulder and taking delivery of the ball blasted home his second goal in three minutes. A minute later and Dolan was on the hunt again. This time he burned through the Burt defence on a 30 metre drive, did a one-two with Brian Roper on the 20 metre line before unleashing a missile of a shot to the back of the net. After putting in a lot of unglamorous graft Sticky Ward finally got himself on the score sheet with a fisted point. 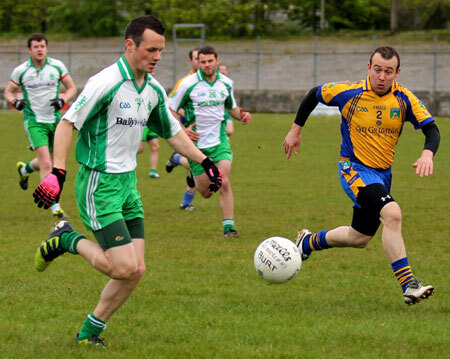 Burt came back with two points, an Enda McDermott free and a point from Chris McDermott, the Inishowen side's only score from play in the second half. That made it 3-6 to 2-7 with eight minutes left. 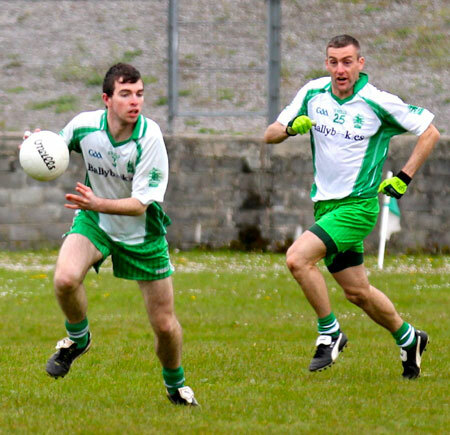 But at this stage Aodh Ruadh's superior fitness was starting to tell and they had Burt penned into their own half for the remainder of the game, facing wave after wave of Ballyshannon attacks. Substitute Diarmuid McInerney got himself a nice point to give Aodh Ruadh a three point cushion, then Anthony Boyle added a fine long distance point. 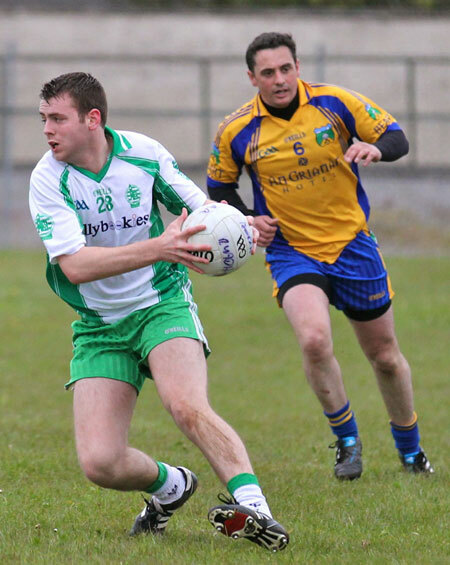 Further points from David Dolan, Brian Roper and Diarmuid McInerney saw Ballyshannon end the game 3-11 to 2-7 winners. 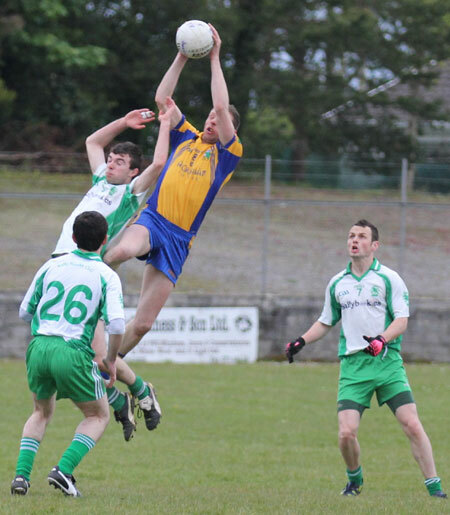 Best for Burt was Enda McDermott, although moving him out the pitch in the second half seriously muted his influence. Joe Boyle also competed well, while there was very little Kevin McDermott could have done about any of the three goals and his penalty save was truly top drawer. Aodh Ruadh took time to get into the match and, but for a mishit Burt penalty, might have struggled to get into it at all. 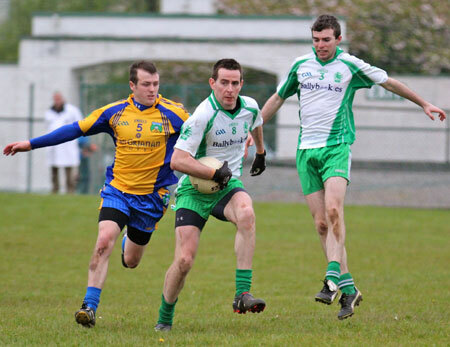 However when they did the midfield of Donagh McIntyre and Damien Cleary were key. McIntyre in particular had an exceptional game winning first phase ball and using it intelligently. Michael Dolan had a solid 60 minutes at corner back. Anthony Boyle's free-taking was impeccable and he made a commendable contribution in general play. 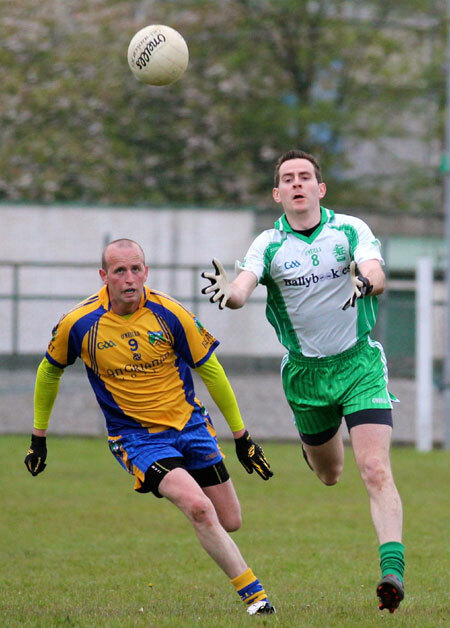 Niall McCready showed his footballing intelligence on numerous occasions, while another legend, Brian Roper, helped vary the threat in the Aodh Ruadh attack in the second half, his own point a peach. 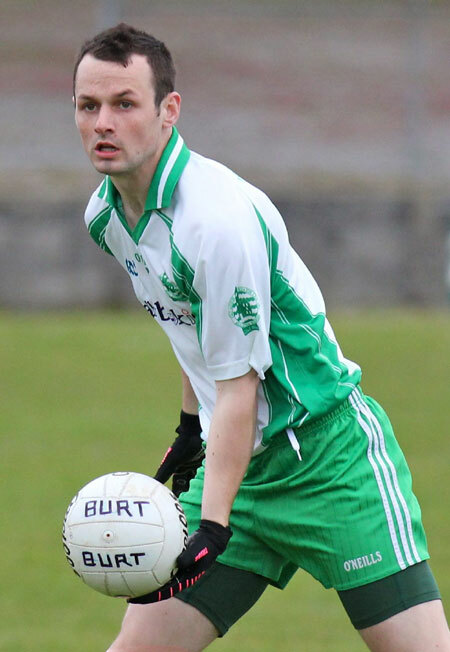 Critically all Aodh Ruadh's substitutes made a telling contribution, and none more than Diarmuid McInerney who hit two points to take the Ernesiders beyond Burt. 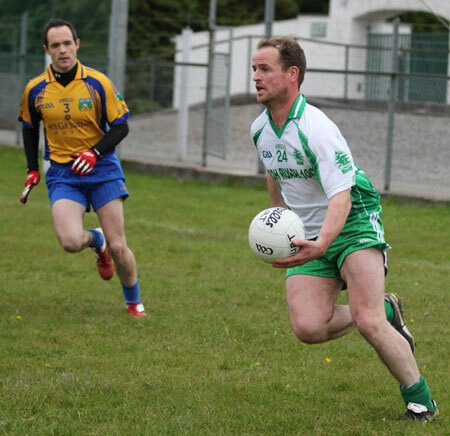 Paul Kane; Ronan Drummond, Conor Patton, Michael Dolan; Ronan Matthews, PJ McGee, David Finnerty, Ciron Whoriskey; Damien Cleary, Padraig Loughlin, Donagh McIntyre, Anthony Boyle (0-4, 3f); Niall McCready, Michael 'Sticky' Ward (0-1), David Dolan (3-3). Substitutes: Shane Ward for PJ McGee: Half Time; Ronan McGurrin for Michael Dolan: Half Time; Brian Roper (0-1) for Padraig Loughlin: 39 minutes; Diarmuid McInerney (0-2) for Damien Cleary: 41 minutes, �Ruair� Drummond, Turlough McIntyre. Yellow cards: Damien Cleary: 32 minutes. 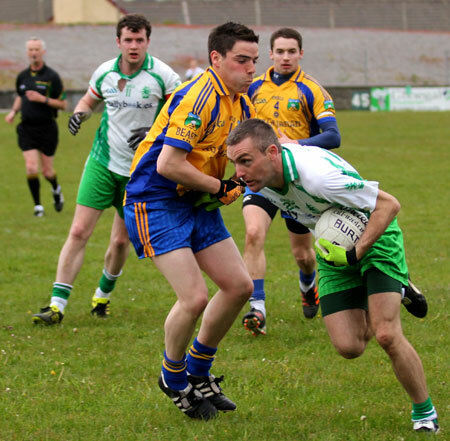 Kevin McDermott; Kevin Glen, Mark McGavigan, Brendan Harrigan; Seamus O'Donnell, Michael McCann, Rory Grant; Ciaran Dowds, Paddy McDermott; Shane McDaid, Joe Boyle (0-3, 1f), Michael McHugh; Christopher McDermott (0-1) Enda McDermott (2-2), Paul McHugh (0-1). Substitutes: Dara Grant, Brian Sheerin, Darren McLoughlin, Michael Gallagher. Yellow cards: Paul McHugh: 49 minutes.